…as socially responsible global citizens. 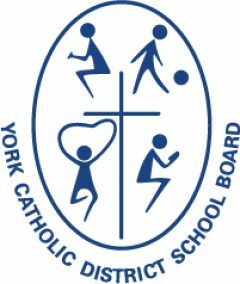 As the York Catholic District School Board remains one of the top achieving School Boards in the Province of Ontario, we remain committed to continuous improvement in Catholic Education. We appreciate the need to establish a solid foundation for academic success within a 21st century environment. We envision faith filled (or faithful Catholic) students who will become creative and critical thinkers, two of the hallmarks of 21st century learning. Who is a YCDSB critical thinker? Who is a YCDSB creative thinker? Catholic Values integrate Gospel Values, Catholic Virtues, and the foundational teachings of the Church, and provide the basis for the Ontario Catholic School Graduate Expectations. The Ontario Catholic School Graduate Expectations point to the dual mandate of Catholic Schools: the mandate of the Roman Catholic Church, anchored in the grace of our common Baptism in Christ, to share in the ministry and mission of Christ, to be witness to the Gospel and to incorporate these elements of faith in the education of the students, and the mandate given by the Province’s Ministry of Education to address specific curriculum expectations. Canadian culture and society, in general, has been highly influenced by globalization and unprecedented technological advances. Social communication and the sharing of information are changing the way we relate to each other and to the world. It has brought the immediacy of world events and differing cultural ideologies into our homes. At times these societal influences have overshadowed the importance of the religious formation of children and weaken the necessary relationship of baptised children and adults with the Church i.e. parishes. Our students live in a global world, more so than any generation before them. Through digital communications, our students can quickly and easily connect with others across the globe. In partnership with home and Church, the York Catholic District School Board believes in the need to develop students’ character through the teaching of our Gospel Values, and to prepare students for their role in society as engaged, productive, and responsible global citizens. Active and engaged citizens are aware of their rights, but more importantly, they accept responsibility for protecting their rights and the rights of others in accordance with Catholic Social Teaching. come together in fellowship and celebration. Rooted in the Social teachings of the Church, the Secondary Schools of York Catholic participate in the Justice work of the Church, though Youth Social Justice Awareness Committees, various Charitable Initiatives (food drives, fund raising, toy drives, Student Mentorship and Mediation programs). Through Religious Education, and the pastoral care and programming of Chaplaincy, our secondary schools foster a faith community of learners. This community is brought together in Christ to provide an experience of the Christian life for all its members, but particularly for its students. Those in the faith community, by virtue of their Baptism, have the responsibility to mediate the faith to those who are growing up in the faith. This means that all members of the York Catholic District School Board are called to embody the Catholic values in each Catholic school community.